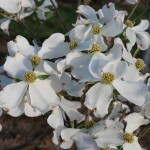 A small vigorous tree with a rounded habit and creamy white flowers in the spring. 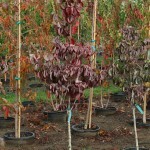 Medium green foliage turns bright red in the fall. It is resistant to powdery mildew. 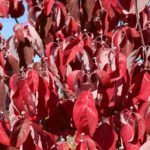 It prefers full sun and a well-drained soil with reliable summer moisture. Introduced by the Tennessee Agricultural Experiment Station in 2000. PP 13,098.